L to R: Treasure Shields Redmond and Karen (Jia Lian) Yang, founders of Who Raised You? Listening Collective and Shayba Muhammad, founder of The Makers Program. 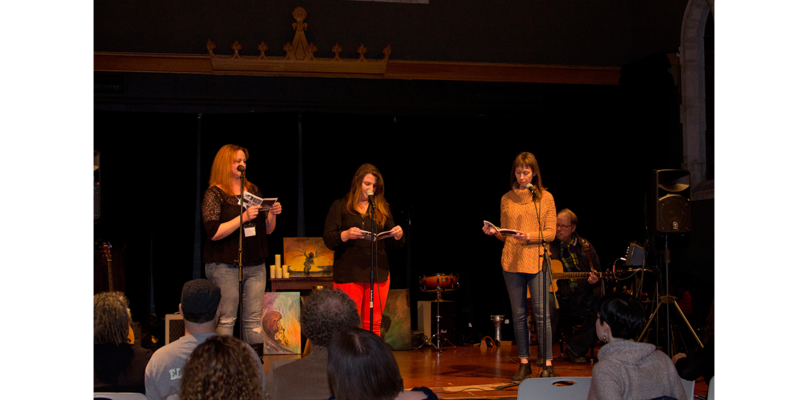 When the Arts and Education Council launched the stARTup Creative Competition in partnership with the PNC Foundation in 2017, it was an experiment. As the first four winners continue in their journeys, we checked in to see how winning the competition has advanced their careers and their missions. Creative Reaction Lab (a 2017 winner), has been able to strengthen its local impact. “We’ve been able to connect with community partners, educators, philanthropists and some of the local change agents that have supported us in deepening our work,” said Founder and CEO Antionette Carroll. 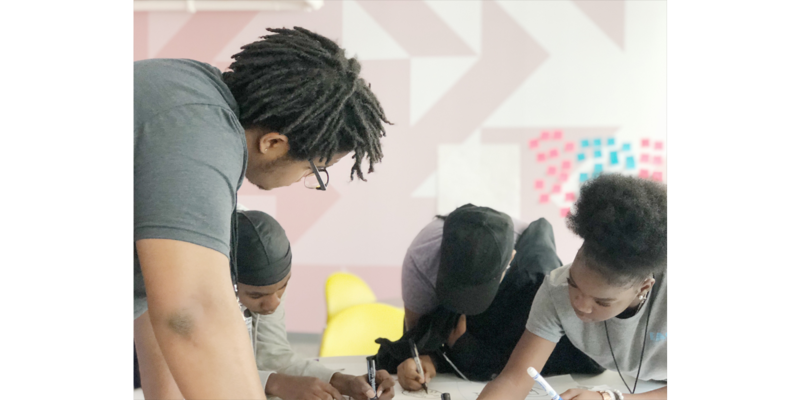 Creative Reaction Lab has also launched two youth programs: Design to Better [Our Community] Summer Academy and the Community Design Apprenticeship Program. In 2018, A&E partnered with Creative Reaction Lab for the Summer Academy in A&E’s arts incubator, the Centene Center for the Arts, and plans to again this summer. In addition to receiving national recognition, they have also brought leaders from institutions like Microsoft, IBM, Facebook, Google and Twitter to engage the local art and design culture. Who Raised You? 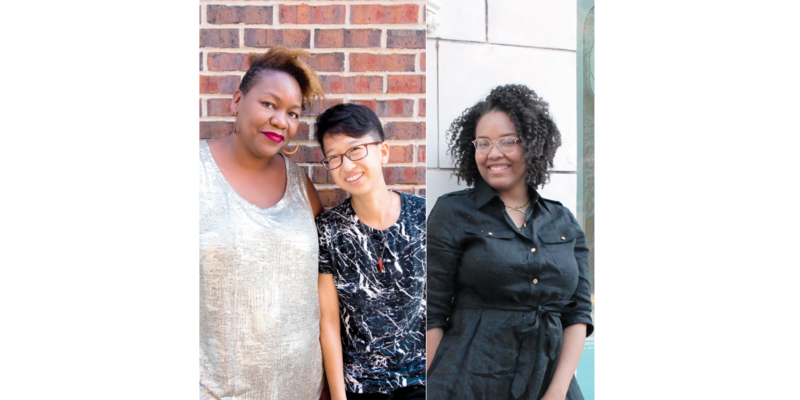 Listening Collective (a 2018 winner), founded by Karen (Jia Lian) Yang and Treasure Shields Redmond, continues to create episodes of their self-titled podcast. They hosted a workshop that explored creating ideas, speaking your truth and keeping tech simple. “From this cohort of seven, we expect life-giving media projects,” Yang said. In the next year, Who Raised You? is looking forward to creating a media project about the Westland Acres community, expanding their work into video and establishing Who Raised You? Listening Collective as a 501(c)(3). This month, The Makers Program (a 2018 winner), launched a 12-week program where black and Latino artists can find resources and guidance to grow their product-based businesses. The program will culminate with a Makers Mart in April where the participants will introduce their products to the community and local retailers. 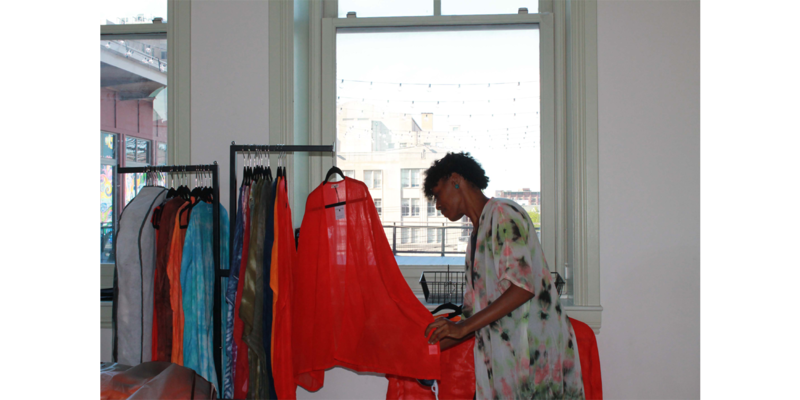 “The support, resources and networks made available to me through this experience allowed me to move my program from the idea stage, through development and on to startup,” said The Makers Program founder Shayba Muhammad. FLOW (a 2017 winner) has added an online writing community with opportunities to participate in guided discussion, reflection series and workshops. 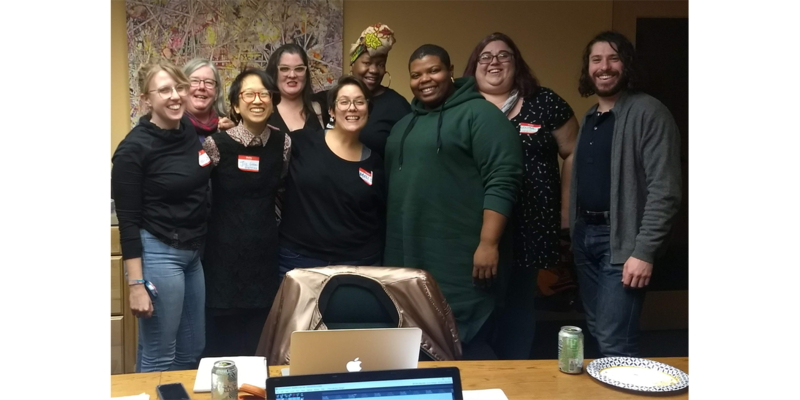 These online communities provide structure and communication outlets when writers often work solo, furthering FLOW’s goal to build community around writing and storytelling. Submissions for the 2019 stARTup Creative Competition close March 1.